Training course A801 is the most common course, teaching the fundamentals of Identity Panel. 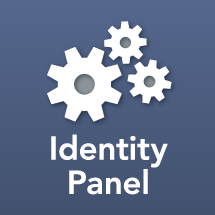 You must be an engineer, developer, or architect in the technologies you plan to use with Identity Panel, based on your role in your Identity Panel project. For example, if you are going to responsible for reviewing the security of Identity Panel, you would need to be a security expert. If you are going to be responsable for Identity Panel and Microsoft Identity Manager (MIM), you should have an expert level knowledge of MIM.